When I was in graduate school, one of my hobbies was to bake cookies for the department. For one of the basic chocolate chip cookie recipes, it wasn’t uncommon to switch the chocolate chips with another ingredient that was on sale that week (I was a grad student, after all). That also meant I had enough volunteers to give ratings on cookies to give me a reasonable response value on a batch of cookies. 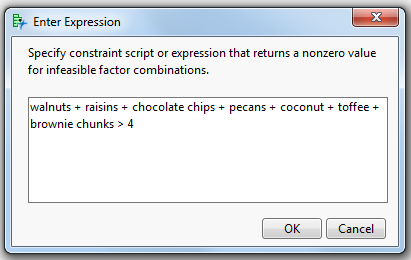 What if I wanted to find out how each of these ingredients individually affects the taste of the cookie? If I’m using multiple ingredients per batch, it’s very likely there are active two-factor interactions that I’m not interested in estimating. The structure of the cookie is going to break down with too many added ingredients, so I decide not to bake cookies with more than four ingredients in a batch. To handle the first issue, I can use an Alias Optimal design, but the second issue is a bit trickier. Why don’t I treat them as discrete numeric variables? This way I’m still dealing with a continuous variable, but I’m restricting the number of possible values. I open up a new Custom Design and enter my discrete numeric variables, as shown in the figure below. I’m almost ready to create the design – I just need to set up my linear constraint... only to realize that I’m not able to use the linear constraint interface with discrete numeric variables. Now what? 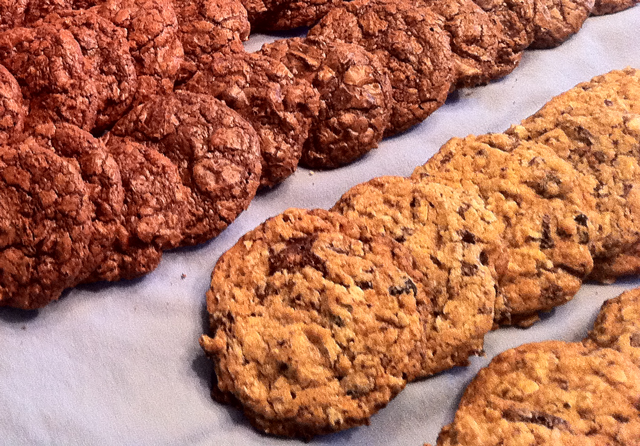 A quick look verifies that each batch of cookies has either three or four ingredients. 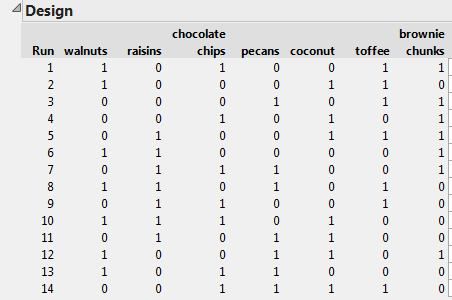 But now for the moment of truth – how did we do in terms of alias optimality? 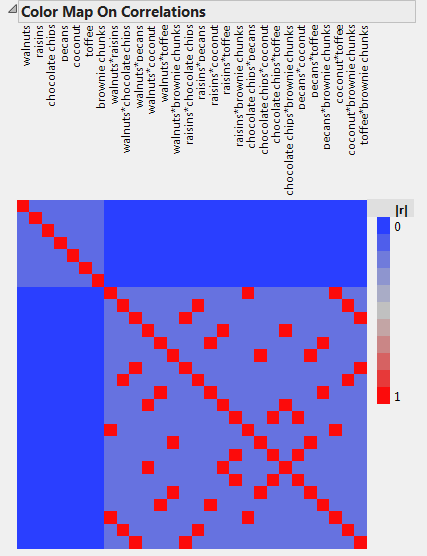 Looking at the Color Map on Correlations reveals that the main effects are orthogonal to the two-factor interactions – this means that the Alias Matrix has all zeroes except for the intercept. As I mentioned in my previous blog post, using an Alias Optimal design involves a trade-off – there’s a loss of estimation efficiency vs. the D-optimal design. However, the Alias Optimal design gives me worry-free estimation of the main effects even in the presence of two-factor interactions. To get all the main effects unaliased by any two-factor interaction, you need your design to consist of pairs of runs that are mirror images of each other (that is, each 0 in one row has a 1 in the corresponding column of its paired row and vice versa). This implies that you need an even number of runs in your design. So, it was fortunate that I could afford to do 14 runs!